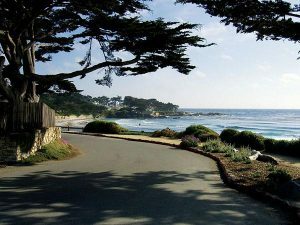 The people of Carmel-by-the-Sea could not have found a more appropriate name for Scenic Road, which runs the length of the coast just above Carmel Beach. This one way street is not only nicely paved for running, but it affords some gorgeous views of the ocean and the high-end homes lining the water here (including the Clinton Walker House designed by Frank Lloyd Wright). The road has a dirt sidewalk in some sections, but is otherwise somewhat narrow, so be mindful of traffic. The Scenic Road goes for nearly 2 miles. You can hop down to Carmel Beach and run on the sand, which is a soft powdery white. It’s also pretty flat, making for a nice stable run, especially at low tide. 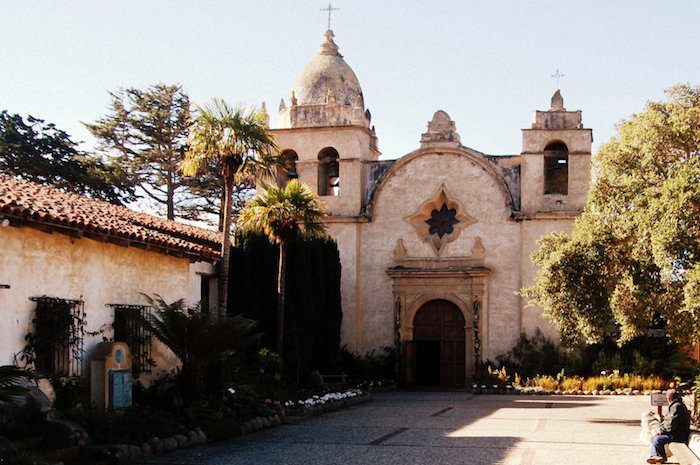 For a nice loop, follow Scenic Road until it links up with the Mission preserve (see our map), hop on the Serra trail through the park, then take Mountain Ave. to Ocean Ave. (which links back up with Scenic) to complete the 4.2 mile route. Park on Ocean Ave or take the Route 4 Bus to the Ocean Ave/Carmelo stop.